Huawei is on a roll! Recently, the Chinese mobile manufacturer has posted a photo on Weibo, teasing that its upcoming smartphone will sport a Samsung-like Infinity-O display. 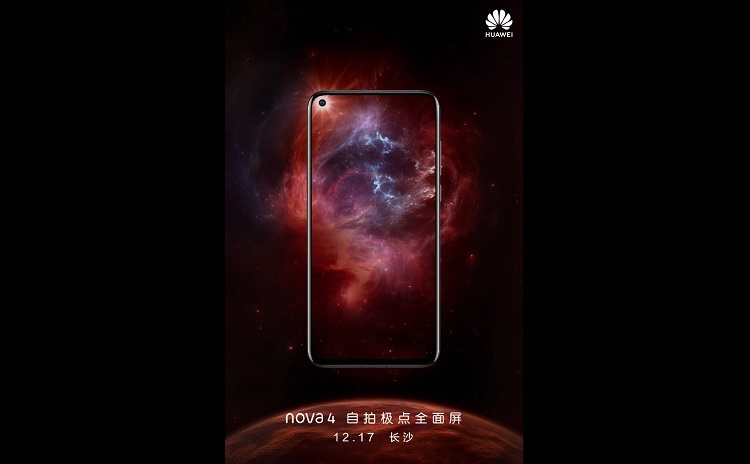 Now, the company revealed that it will launch the Nova 4 in China on December 17, 2018. It’s no secret that smartphone brands are now trying to do whatever it takes just to eliminate the notch on top of its panel, without having to compensate the all-screen experience of consumers. This is why many of them came up with some tricks such as the pop-up camera design, which was hyped by tech giants Vivo, OPPO, Xiaomi, and Honor. On the other hand, as Samsung tries to not lose its crown as the number one mobile vendor, the Korean tech company recently held its Galaxy event, showcasing its latest innovations like its foldable phone, and its upcoming displays. These technologies are expected to be seen on its upcoming flagship smartphones next year. Unfortunately, Huawei seemed to steal its spotlight, as the Nova 4 is set to be the first smartphone to boast an in-display selfie snapper. As seen on its teaser photo, the device will sport a hole in the upper left corner of the display, which doubles as the front camera of the phone. With this, the Nova 4 will surely deliver an impressive screen-to-body ratio. Meanwhile, Huawei didn’t reveal much about its upcoming Nova device. Nevertheless, we can expect that it will offer significant upgrades from the Nova 3 – which was launched in July this year. We’ll update you as soon as the Huawei Nova 4 launches. So, stay tuned!